Once converted into full time professions, degrees in engineering can make for high-packaged professions; the following post takes a quick look at the top ten high-paid engineering jobs. Read on to know more. It might come as a surprise, but when it comes to high paying salary, it is not medical, it is not business – but it is engineering. When it comes to high-paying jobs, engineering continues to be one of the most sough-after across the globe. However, being a vast field unto itself, engineering has many subfields. Most common of them include names like civil engineering, mechanical engineering, electrical engineering, computer engineering and much more. 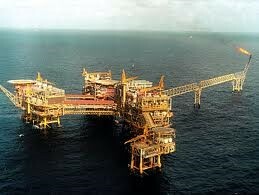 de oil is termed as petroleum engineering. A comparatively new discipline, petroleum engineering is opening up ample employment opportunities in the recent past. The field came to be recognized as a mainstream profession on in1914. This was followed by Petroleum Engineering being offered as a degree by the University of Pittsburgh. These days, though a lesser opted field of study, Petroleum engineering happens to be one of the highest paid engineering major and one can earn up to INR12-18 lakhs per annum. Aeronautics simply implies the navigation of science that involves studying, designing, manufacturing of aircraft and rocketry within the limits of the atmosphere. Since its inception, aeronautics has expanded and now encompasses business, technology and other aspects related to aircraft. Job profiles in this field are extremely challenging and offer lot of learning options as well. It goes without saying that a fat pay package is an icing on the cake; aerospace engineers can earn up to anywhere between INR 20 to 30 lakhs per annum. The branch of engineering that deals with the production and use of nuclear energy and nuclear radiation is termed as Nuclear Engineering. Nuclear Fission is the most important aspect of the discipline of nuclear engineering. One of the most challenging fields of engineering, nuclear engineering also makes for a great living. This field also happens to be one of the highest paying engineering fields. An experienced professional can earn anywhere between INR 15 to INR 20 lakhs on an average. Known as the mother of all engineering fields, a degree in mechanical engineering is still the most sought after. This traditional field has several numbers of takers in the present times and is still in demand as much as earlier times. With the passage of time a lot many changes have come up and nanotechnology has also forayed into the major job description of the discipline. Till date, Mechanical Engineering happens to be one of the highest paid fields in engineering. Though the starting salary can be somewhat basic, but with the passage of time and expertise, one can earn up to INR 30 to INR 40 lakhs on an average. An extremely versatile profession, chemical engineering is also a challenging job profile for those who are willing to take it up. Because of its versatility, chemical engineers have the liberty to combine in their work other fields such as materials engineering, industrial engineering and electrical engineering. Other than designing equipment and operating chemical plants, chemical engineers are also responsible for determining problems and finding solutions to it. While the remuneration at the beginning can be somewhat modest, it can easily go up to a lot – INR 20 to INR 25 lakhs on an average. One of the most popular fields of engineering across the globe, software engineering continues to be one of the most high-paid jobs across the world. In typical forms, software engineering in referred to as the application of a systematic and a disciplined approach towards the maintenance of software. In today’s world, software engineering happens to be one of the most luring professions and definitely makes for an interesting career option. With so many global giants to work for, software engineering is definitely one of the best career options. Pay packages range from INR 4-5 lakhs in the beginning and can go up to INR 40 lakhs per annum on an average. Engineering management is a specialized form of management that is concerned with the application of principles of engineering to business practices. As a career it brings together, technological problem solving skills of an engineer along with the organizational and planning abilities of a management graduate. Certain areas where engineering managers can work include areas like manufacturing construction, product development, industrial engineering, design engineering and technology. 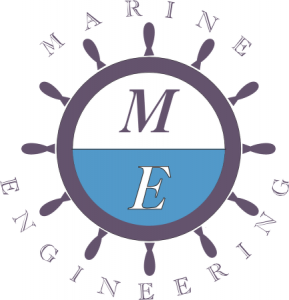 Highly successful professionals, marine engineers are not only among the highly-paid individuals but also get an opportunity to sail across the globe. Another old field of the domain, civil engineering happens to be a high-paid profession. Civil engineers are involved in the designing, development, construction of a myriad range of projects, which often comprises construction of bridges, railway tracks, highway constructions, geotechnical engineering, and coastal development. A professional can earn anywhere between INR 15 to 30 lakhs per annum with the passage of time. An individual working as a systems analyst makes use of computers and other related systems in order to design IT solutions. Modifying, enhancing and adapting other existing systems to integrate new features or implement any other improvements. Modestly challenging in nature, the pay package for computer systems analyst is quiet high and definitely makes for a great career option. Experienced candidates can earn up to INR 15 to 20 lakhs per annum. Apart from the above-mentioned professions, there are other engineering professions as well that are highly paid; however if you want sky-rocketing salaries, you may choose any off the above professions.